Your Chicago-area home is one of your biggest investments, and you want to do everything you can to protect it. This includes ensuring that all of the essential exterior components, such as your roof, are properly maintained and in good working order. 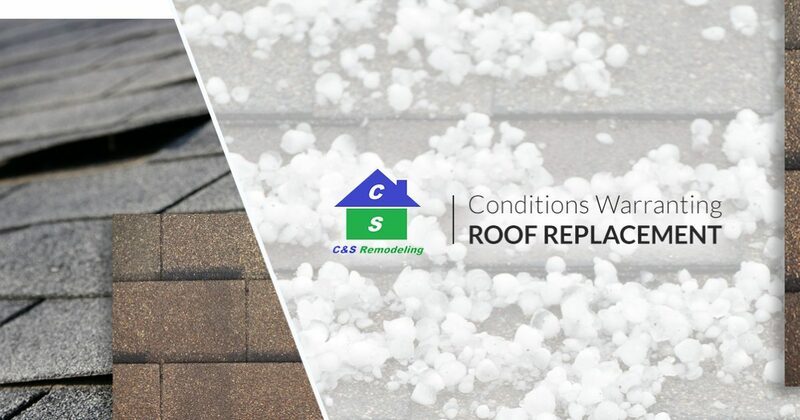 At C & S Remodeling, our team of experts is here to help you make sure your roof protects your home from the elements as it should. If you’re in need of a roof replacement, you can count on us to deliver high-quality workmanship and professional customer service. Call us at 847-981-0489 now to learn more. In the meantime, check out three of the most common roof conditions that warrant a replacement. The Chicago area sees its fair share of severe storms during spring and summertime, many of which include driving rain and hail. 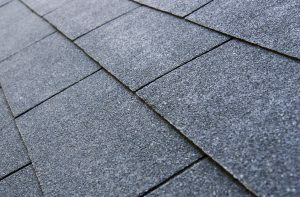 The hard ice stones that these storms produce can cause extensive damage to your roof shingles. An impact from large hailstones can not only cause accelerated aging, but it can also crack shingles and damage the tar paper beneath. When this occurs, the odds of your roof leaking increase exponentially. Windstorms are common in and around Chicago, and it is not uncommon for gusts to exceed 50 miles per hour. During particularly strong storms, the shingles on your roof may begin to lift up if the wind gets underneath them. Aside from causing damage to shingles and shingle loss, rainwater can travel beneath the shingle and cause your roof to leak inside of your home. From wind and hail to the sun’s harsh UV rays, your home’s roof is exposed to many harsh conditions. Aside from storm damage, your roof will experience normal wear and tear throughout the years. For example, shingles and flashing can crack when they become excessively weathered, and adhesives, such as tar used to seal the flashing, can experience corrosion over time. If it has been 15 to 20 years since your roof was installed, you may begin to experience problems, like leaks, that are associated with worn shingles and other roof components. Curious whether it is time for a roof replacement on your Chicago home? Contact C&S Remodeling. We are happy to complete a thorough inspection of your residential or commercial roof to determine if it has any hail, wind, or another type of damage that would warrant replacement. Contact us today to get started! ©2018 C & S Remodeling | All rights reserved.